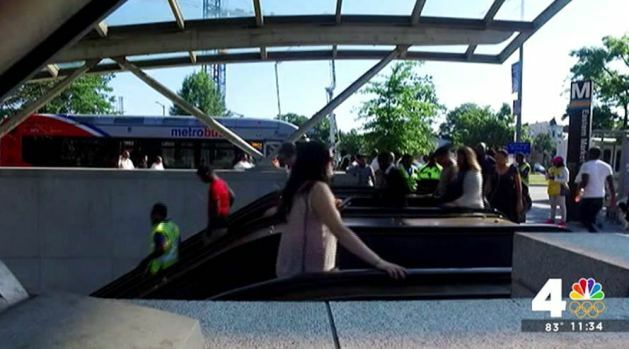 Metro is now shut down through July 3 in a stretch of the BL/OR/SV lines from Eastern Market to Minnesota Avenue and Benning Road. There is also no train or bus service between Arlington Cemetery & Rosslyn on the Blue Line. Metro said riders should use the Yellow Line. Metro officials say shuttle buses won't be able to handle the volume of riders and that commuters should make other plans if possible. 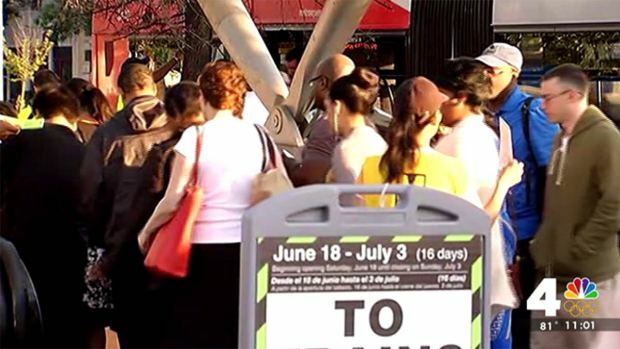 Many commuters seemed to plan ahead -- and brought their patience along -- for the new reality of Metro's aggressive maintenance plan both Monday morning and afternoon. "Safety Surge 2" of WMATA's SafeTrack plan began Saturday. But the Monday commute brought the first test for riders who now must navigate a system where two stretches of Metrorail are cut off from the rest of the region. Now through July 3, the Orange, Blue and Silver lines are shut down from Eastern Market to Minnesota Avenue and Benning Road. The Potomac Avenue and Stadium-Armory stations are closed. And in Northern Virginia, there's no train or bus service between Arlington Cemetery and Rosslyn on the Blue Line. Metro told commuters to travel via L'Enfant Plaza instead. Metro riders are finding their way around the area with shuttle buses as WMATA's SafeTrack plan has lead to rail shutdowns. Some stations that were directly affected by the service reductions saw decreases in ridership of up to 65 percent. Some other stations saw increases, as passengers figured out a way around the disruption. "It's a necessary thing," said rider Jo Brooks. "I don't believe we have a choice." While there were times of crowding at some stations, including L'Enfant Plaza, other riders noted that some stations were actually emptier than usual, and praised Metro for helping commuters with clear instructions. "[I'm] impressed with the level of #wmata #smarttrack prep at new Carrollton," @missjames tweeted Monday morning. "MARC helpers, big signs, police posted. good work from pg county." In Arlington, Morgan S. noted the Rosslyn platform was "actually quieter than usual" in the morning. A WMATA employee at L'Enfant Plaza on Monday morning said some of his "regulars" told him they would use other forms of transportation during SafeTrack. Commuters are getting up earlier and switching their schedules while a segment of Metro is shut down for repairs. Leading up to the shutdowns, commuters were told to make alternate plans or to work from home if possible. And for the most part, it seemed to work Monday -- although plenty of riders did express frustration. April Clutter was one of them. She said her commute usually takes an hour, but on Monday, it took her three. "There's all these people standing around, but they aren't telling us exactly where to go," Clutter said. WMATA is rolling out 15 separate "safety surges" for SafeTrack over the next year, which include segment shutdowns, extended single-tracking and reduced train frequency in various parts of the system. Commuter Dan R. said Monday he was happy to see Metro's new general manager "biting the bullet" on repairs. WMATA has extra employees at affected stations to answer commuters' questions. 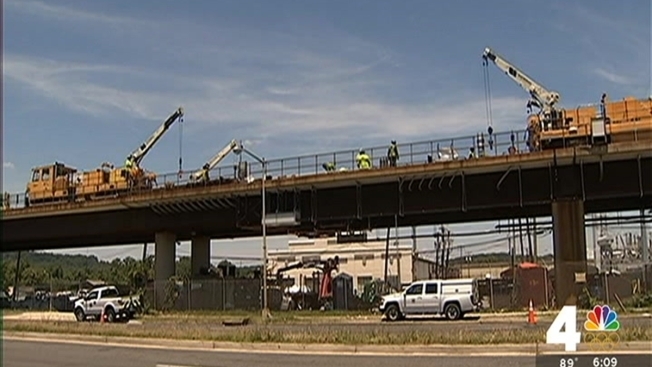 One worker told NBC Washington that he had previously retired, but Metro has been calling on former workers to return. Despite the increase in staffing, though, a temporary glitch had many riders seeing red. Another WMATA worker outside Stadium-Armory said some other station managers were apparently been telling commuters to take buses to her station, where they could catch the train. But Stadium-Armory is closed to rail travel, leaving riders angry and running to catch a new set of buses. Workers at Stadium-Armory contacted Metro and got the communications error cleared up, the employee said. But at least one would-be rider, when faced with the situation at Stadium-Armory, had had enough, saying, "I'm just going to work from home." Twitter user @WaffleW also decided to avoid Metro, posting, "Miraculously got last seat on 3Y [bus route]. Definitely avoiding #metrorail as much as I can during #SafeTrack. Hope traffic isn't too bad." Some riders did encounter more crowded trains. Since Metro had advised those traveling to or from Virginia to take the Yellow Line across the river, some of those trains were more full than usual. Blue Line: Trains run btwn Franconia & Arlington Cemetery every 12 min. After 10pm, no train service, use Yellow Line to continue trip. Orange/Silver Line: Trains every 10 -12 min due to SafeTrack; expect crowded conditions & delays. After 10pm, trains every 20 min. "Packed yellow train going across the river today," @AshDee04 tweeted Monday morning. "I hope the number of yellow line trains is increased to handle the capacity #wmata[.]" Amanda Aguilar, Emmanuel Ayisi, Marcus Dash, Julia Grace, Ellie Hartleb, Dystany Muse and Brooke Wivagg contributed to this report.